Using a ruin as a baseform to be preserved in a new project is an interesting kind of play to do: the challenge is not to force a program into what is already there but to be inspired by the ruin and let it guide you into something new that grows from the old. 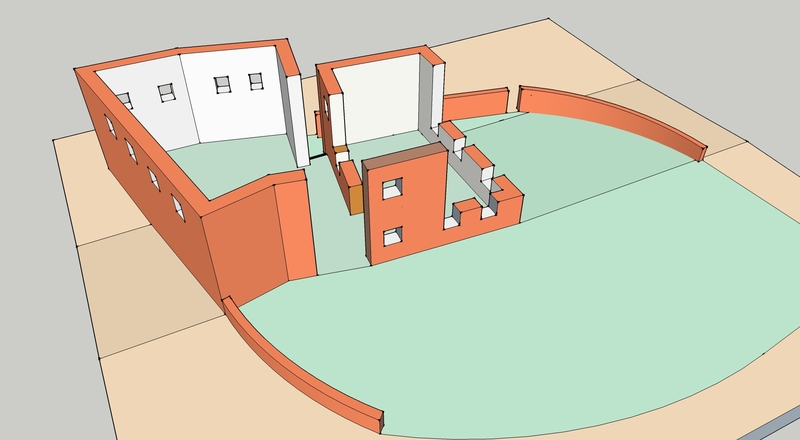 The SketchUp document attached to this post gives the ruin. It is ready to be added to in your way. Whatever you do, just leave the ruin as it is. In a separate post, “Inhabiting what is there”, an example of this play is shown that does the exact opposite (and more conventional solution) as done by architect Mateus. Many other ways are possible between the two opposites. Find your way to do it.